The Rev. 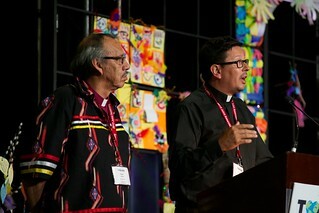 Canon Travis Enright and Bishop Adam Halkett put forth a motion during the ACIP presentation at the ACC's separate session on Saturday. Photo by Brian Bukowski/Joint Assembly Communications.